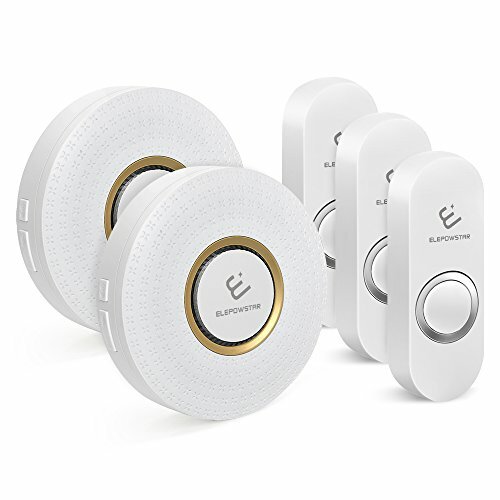 A smart and convenient wireless doorbell combo for your home,you can set different ring tone for different transmitter or receiver so you can know at which door you have a visitor. Wireless operating range up to 1000 ft(1000 ft in open area) for a big house,office,hotel service and other areas that is suitable for short-distance wireless environments. Easy Installation:just plug receiver into an electrical outlet and put the double-sided adhesive tapes at the back of the button, you can also use the screw to fix it. No extra work needed. 1 x User manual12 months worry-free warranty. Click "SSG" "Have a question for SSG" "Ask a question"